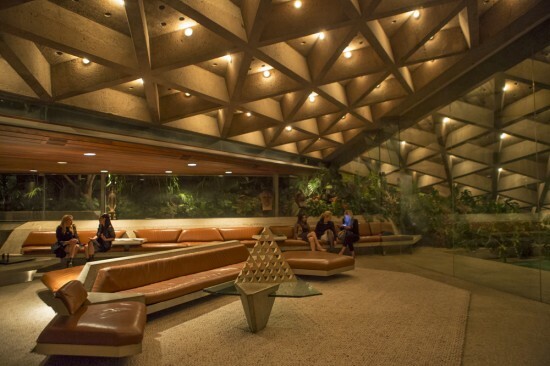 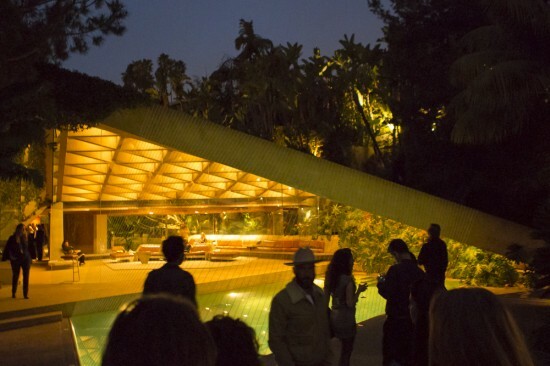 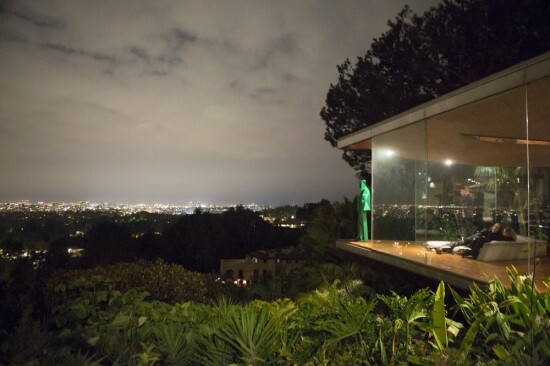 Yesterday, AN reported on the incredible new entertainment complex that millionaire James Goldstein is building next to John Lautner’s Sheats Goldstein Residence in Beverly Hills. 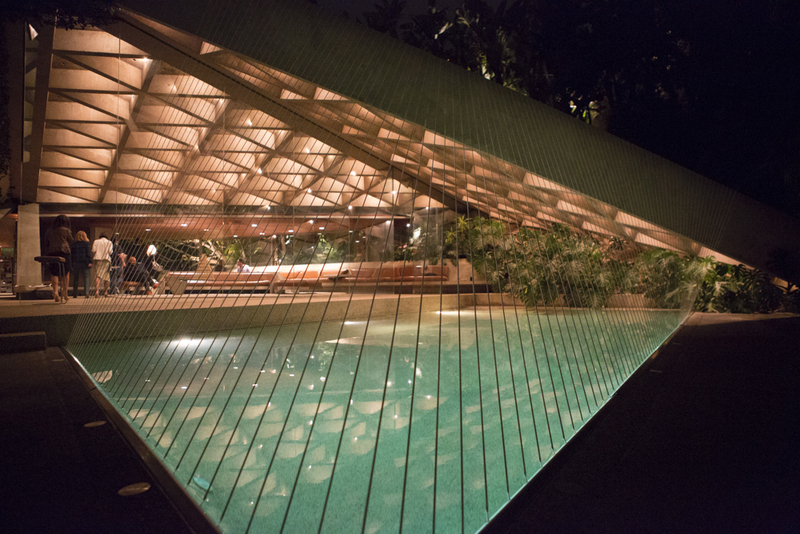 But even without an adjacent nightclub, the house often hosts splashy events, the most recent of which was the latest art/architecture installation that’s part of artist Xavier Veilhan’s Architectones series. 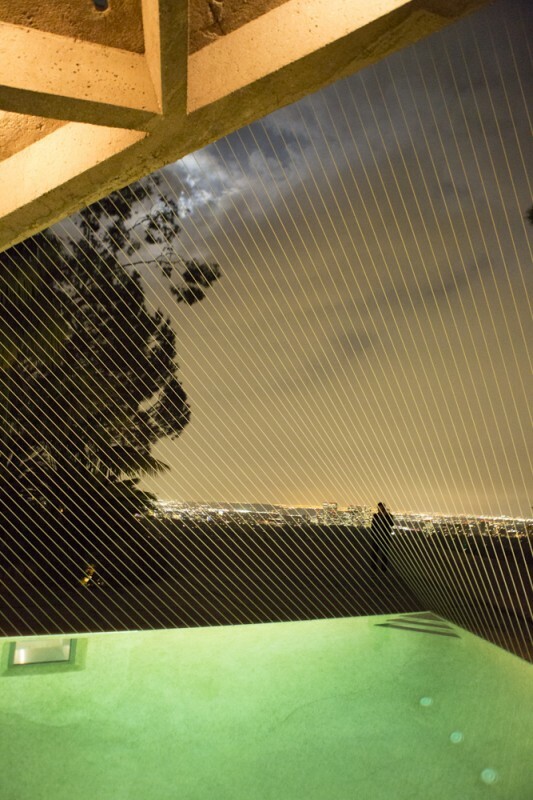 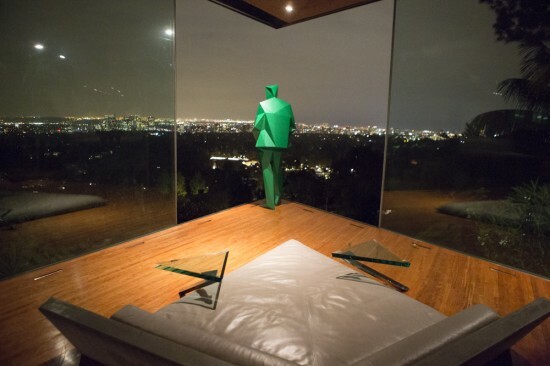 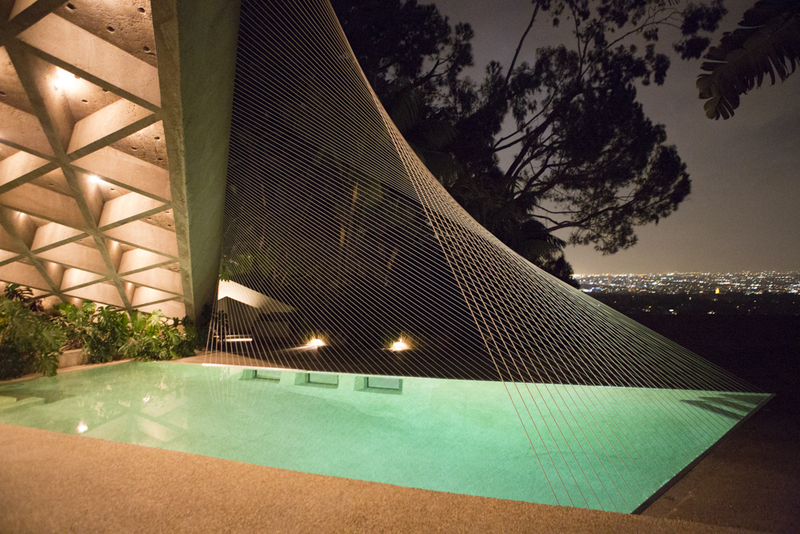 As he did at Richard Neutra’s VDL House and Pierre Koenig’s Case Study House 21, Veilhan created several site specific installations for the site, ranging from a life size statue of John Lautner to a series of cords stretching over the home’s pool. The project was curated by architect Francois Perrin and organized by Galerie Perrotin.